In February this year, I decided to leave Paris, where I had been studying for four years, to move to the Dutch city of the Hague. On a national level, the Hague is the seat of the national government of the Netherlands. On the European and international stage, it is represented as the ‘City of Peace and Justice’ hosting the International Court of Justice and the International Criminal Court. But there is much more to the Hague than just politics. I asked my Dutch roommate Abdulla to show me a place in the Hague he feels attached to. 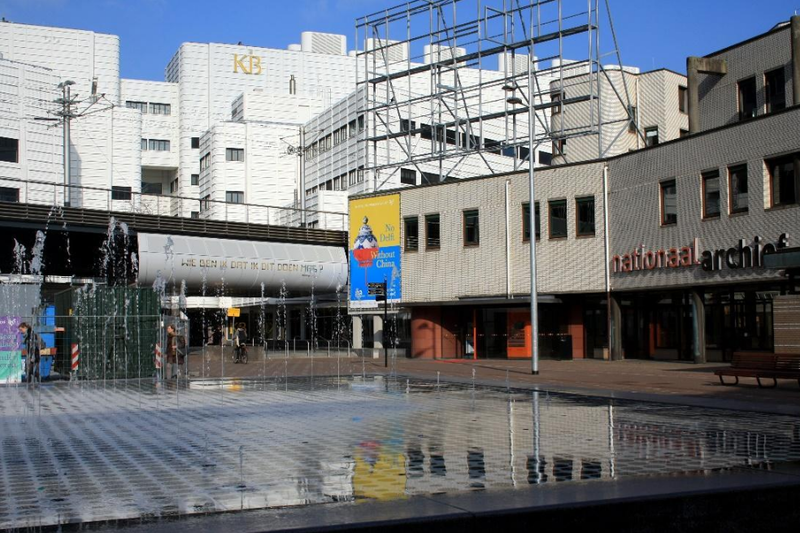 On a Thursday evening, he took me to Anna van Buerenplein, a square adjacent to the Central Station of The Hague. The Anna van Buerenplein is very special to Abdulla, as it is the first place he visited in the Hague. In 2009, his friend and he had to analyze archives at the Royal Library, which is situated next to the square, for their high school graduation thesis on civil and human rights. Abdulla is now a law teacher. This place reminds him of a time of transition when he was about to finish high school and start his law degree. Amidst the high-speed networks and people passing by, Abdulla shows me the portrait of Anna van Buren, the first wife of the Dutch King Willem I van Oranje, that is depicted on one of the pillars that support the metro railways. The portrait reminds us that this specific square, too, has a story. Back in 2009, it was a site of constant construction works. The square is nowadays an open and modern gateway to the city. As Abdulla puts it, “Anna van Buerenplein is not a place to live in: it is a place to go through, study, research or work.” He talks enthusiastically about the good memories he has of amazing speeches by lawyers and judges during a conference he organized there in 2015. Anna van Buerenplein might then symbolize the identity the Hague has shaped for itself in the past decade: a city that is all about law and international politics.